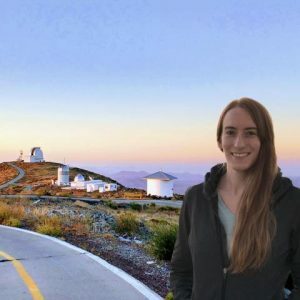 [TORONTO] NASA Hubble Fellow and Carnegie-Dunlap Fellow Dr. Maria Drout has won the tenth Postdoctoral Innovation and Excellence Award (PIE) from the Carnegie Institution for Science in recognition of her creative approach to science, achievements in mentoring, and contributions to the Carnegie community. 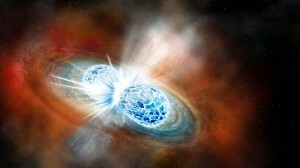 In August 2017, Drout and her colleagues at Carnegie Observatories made the first observation of a cataclysmic explosion—called a kilonova—triggered by the merger of two neutron stars, an event that generated gravitational waves detected on Earth by the Laser Interferometer Gravitational Observatory and the Virgo experiment. The historic observation marked the beginning of a new era in which astronomers can study astronomical objects and events through both the light and gravitational waves they emit. Drout’s follow-up spectroscopic work helped confirm the identity of the kilonova and provided evidence that most of the heavy elements in the Universe, like gold and platinum, were created in neutron star mergers and not in supernovae. Her achievements in training and outreach include her work as one of the original authors for the widely read website, Astrobites.com, which features summaries written by graduate students of noteworthy research papers. She is also a co-founder of ComSciCon, a series of workshops designed to help graduate students communicate technical and scientific concepts. She is currently a member of the ComSciCon national leadership council and is working to expand the initiative into Canada.